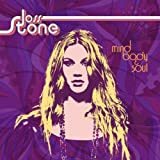 Joss Stone is a British singer-songwriter. Her debut album, The Soul Sessions, was released in 2003, and went triple platinum. She has subsequently had further success including being nominated for Grammy Awards in 2005 for her album Mind, Body & Soul, and the hit single, You Had Me. In total, she has sold over 10 million albums, won two BRIT Awards, and one Grammy. She has also branched into acting, making her movie debut in the 2006 film, Eragon. Deluxe edition includes four bonus tracks. 2012 release, the sixth album from the Grammy and Brit award winning British singer/songwriter. 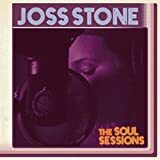 The album consists of 15 cover versions and is a follow up to Stone's highly successful debut album The Soul Sessions which was released in 2003. 2015 release from the soulful British singer/songwriter. 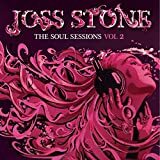 Water For Your Soul is a culmination in Joss Stone's travels in sound, demonstrating how the teen soul prodigy has blossomed into an artist of style and substance. This is an album that pulses with the liquid groove of reggae, dazzles with the mix and match sonic adventure of hip hop, shimmers with the exotic sounds of world music and delivers the emotional belt of R&. 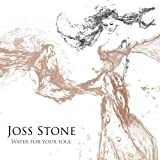 Most of the songs for Water For Your Soul had been written and demoed before Joss's Total World Tour began but widening horizons convinced her to completely rethink and recut the record. The sound expanded to include Indian tabla, Bengali lute, Bansuri flute, African and Asian percussion, plus gospel choirs, New Orleans horns and full orchestra. After various experiments, abandoned and revisited sessions, the final album was more or less completed in a 10 day frenzy, with strings being recorded in London, percussion in Hawaii and Joss pulling it together at her own Home Grown Studios in Devon. 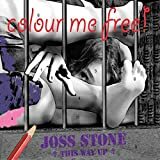 UK 13-track CD album - Written and recorded at Mama Stones, Joss' mother's live music venue in Devon and produced alongside Jonathan Shorten and Conor Reeves, 'Colour Me Free' is an eclectic mix of pop, soul, R'n'B, funk, hip-hop and gospel sounds. Highlights include the lead single 'Free Me', a pop song with an infectiously catchy chorus while 'Incredible' possesses a raw funk sound. 'Could have been You' captures urban influences and 'You Got The Love' carries strong Gospel undertones. With guest appearances from Jeff Beck & Sheila E., Raphael Saadiq and Nas. EMI. 2009. Joss Stone's second album is almost entirely co-written by Joss herself presenting a new side to the girl with one of the most powerful voices in music. 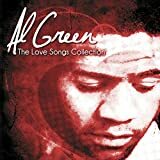 The album was produced by soul legend Betty Wright & Mike Mangini (who were also at the helm for debut album 'The Soul Sessions') & contains writing collaborations with Lamont Dozier on 'Spoiled' & Beth Gibbon (Portishead) on 'Killing Time'. Joss herself says. 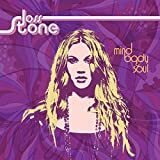 "for me, personally, 'Mind, Body & Soul' is my real debut" & after one listen you can be in no doubt that this is the record that she was born to make. Powerful, personal & full of emotion this is one of the outstanding soul albums of 2004. 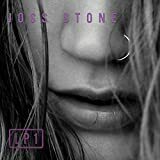 U.K. vocalist Joss Stone will return this spring with her third album, "Introducing Joss Stone." Due March 20 via Virgin, the set was produced by Raphael Saadiq and features guest turns by Common ("Tell Me What We're Going To Do") and Lauryn Hill ("Music"). Other songs set to appear on the album include "Headturner," "Tell Me What We're Gonna Do Now," "Tell Me 'Bout It," "Nothing Better Than (The iPod Song)" and "I Wish I Never Met You." Additional contributions were provided by rapper/producer Novel (Kelis, India.Arie) and Beau Dozier, the son of Motown titan Lamont Dozier. "Introducing" is the follow-up to 2004's "Mind, Body & Soul," which debuted at No. 11 on The Billboard 200 and has sold more than 1.2 million copies in the United States, according to Nielsen SoundScan. 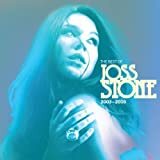 As a world-renowned soul singer who Smokey Robinson calls "Aretha Joplin," Joss has sold over 11 million records globally. She has also a Grammy winner, five-time Grammy nominee, and the recipient of two Brit Awards. 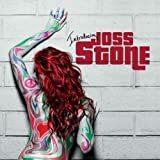 Stone has established her own label, Stone d Records, hence the title of the first album to come out on the label, LP1. 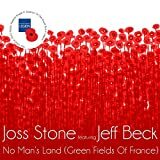 It is the first album Joss has recorded with total creative freedom. She co-wrote and co-produced it with super-producer and Eurythmics co-founder, Dave Stewart. Together they immersed themselves into a rock n; soul musical odyssey in Nashville, Tennessee.